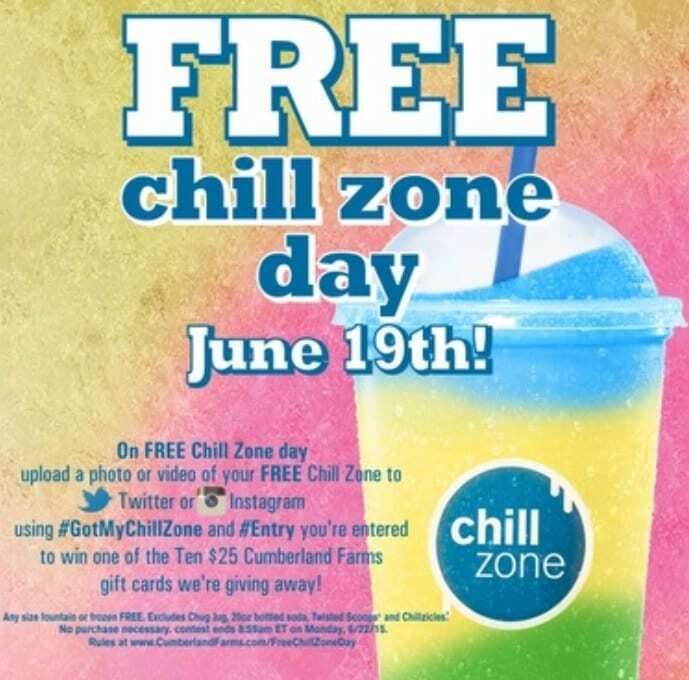 Today, June 19, 2015, is Free Chill Zone Day at Cumberland Farms. Stop by your nearest Cumberland Farms location for a free chill zone. No purchase or coupon required. For more information, please head here. 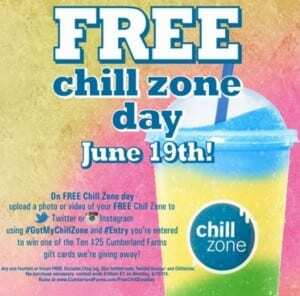 Will you be getting a free chill zone today?